What Packing Materials Do You Need to Prepare Your Belongings for Storage? Preparing your valuables for storage is crucial to keep them in good shape while in your storage unit. Even though your storage rental company serving Palo Alto strives to keep their units secure, your possessions still need to be protected. Unforeseen damages from pests, improper handling, and excessive moisture can ruin the items you have taken great care to protect. Continue reading for the necessary packing materials everyone should have when renting a storage unit. By using plastic containers instead of cardboard boxes, your linens, dishes, and treasured heirlooms will be better protected against invading pests, potential water damage, and other unforeseen conditions that might occur in your storage unit. Cardboard boxes can degrade even in the best of conditions, but plastic containers will keep your items safe while in storage. Laying large plastic covers over your furniture will protect all of your large items against dust and potential rodents. Make sure there is plenty of ventilation to prevent excess moisture under the plastic sheet or cover. This will prevent the growth of mold and mildew. Shrink wrap is mainly used while moving dressers, china cabinets, and other furniture with opening storage units. This packing material can keep your items protected while in temporary storage. If you are keeping dressers and cabinets in your storage unit for longer than a few days, be sure to remove the shrink wrap to allow air ventilation. Bubble wrap is a safe way to keep your treasured heirlooms and breakable possessions safe while they set in your storage unit. This kind of protective packing material is good for dishes, glassware, and other breakable household items. Many people pack their valuables, kitchen supplies, and other household items with newspaper. This is a mistake that can result in ink transference and damage to your valuables. Instead of using newspaper, purchase plain packing paper to wrap your breakables. This purchase will go a long toward protecting your possessions during the move and time in storage, and you can often find packing paper made with recycled materials to reduce your environmental impact. People around the world use storage units for housing extra belongings, important documents, and bulky items. When you are in need of some extra storage space, it is a great idea to take a tour of a self storage facility in your local area. A company offering different storage options in Mountain View can help you pick out a storage unit that is tailored to your specific needs. In order to achieve the best benefits from your storage unit rental, you will want to make sure that you gather plenty of information about your facility. 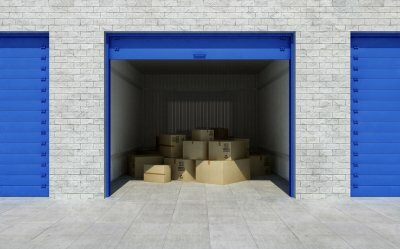 Read on to learn about a few myths about storage unit rentals. 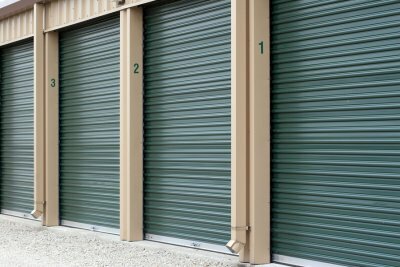 A common misconception about storage units is that these types of facilities are not safe and secure. However, a high-quality storage unit facility will be equipped with state-of-the-art security features, including 24-hour alarms, surveillance cameras, and more. All of these security features will provide you with total peace of mind after you put your stuff into storage. As you are getting ready to rent a storage unit, you will have the option of choosing between full-service and self storage. 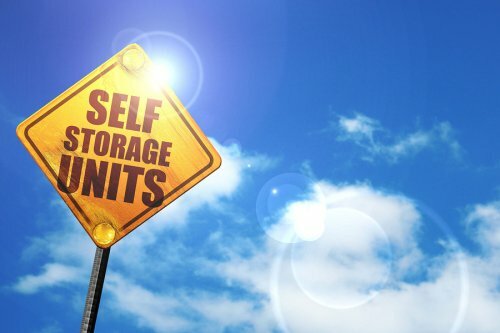 A myth surrounding self storage is that this type of storage comes with fewer services and features than a full-service unit. Your self storage unit will provide you with the same amenities as a full-service facility, and will simply require you to complete the loading and unloading process on your own. If you have been waiting to rent a storage unit because you are afraid of signing a lengthy contract, you will be pleased to learn that storage unit rentals are available for both long- and short-term periods. Temporary storage is a great option for students or families who are gearing up to move. Your storage unit staff can answer any questions that you may have about the myths and facts surrounding storage. Can Self-Storage Help You Sell Your Home? Staging is among the most important elements of the home selling process. When you are gearing up to start showing your home to potential buyers, you may want to consider a storage rental to assist you with the staging process. Storage units allow you to house your personal belongings and clutter so that your home becomes more appealing to buyers. By taking out your personal items and any other unnecessary objects, you will allow potential buyers to more easily imagine themselves living in your home. Moving your belongings into a temporary storage unit near Mountain View can also give you a jump start on the moving process. If you have questions about your storage options, be sure to get in touch with a facility near you. From high-security storage units to temporary storage and more, your local storage unit facility can provide you with the right storage services for your upcoming home move. Whether you are moving to a new neighborhood, or are getting ready for a long-distance relocation, you may want to consider renting a storage unit in preparation for your move. Storage units provide families with additional space to house their belongings as they are getting organized for a move. A storage rental company near Mountain View can provide you with the temporary storage rental that you need to streamline your moving process. To highlight the advantages of storage unit rental, here is a look at three ways having a storage unit can assist you during the moving process. If you are searching for a new residence, but have not yet figured out where you are going to live, your storage unit rental can allow you to begin the moving process on a flexible timeline. When you move your belongings into storage, you can rest assured that they will be safe and protected. After storing your stuff, you can easily stay at a friend or family member’s house while you are on the hunt for a new home. Families that are downsizing during a move may want to explore the advantages of storage unit rentals. With your storage unit rental, you can house your important personal items in a safe location while you are getting organized. In the event that you find that your new home does not have enough storage for all of your belongings, a storage unit can provide you with the space you need to hang on to your treasured items. Another great advantage of using a storage unit when you move is that your rental will help to ease your stress during the moving process. Rather than worrying about packing in a hurry and then moving all of your boxes and belongings in a single day, you can take your time and gradually move your items in and out of storage.